Here on this page Fed gives his Sicilian overview, but for a dissection of the very latest theory go first to the What's new page! Hello I'm G.M. John Fedorowicz from New York City in the U.S.A. Welcome to the exciting world of Sicilian defenses, all of them except the Dragons Accelerated and otherwise. The Sicilian defense is considered to be black's most aggressive reply to white's 1 e4. Black replies 1...c5 already the players look for their share of the play on opposite flanks. The ensuing struggle can lead to attacks on opposite wings, pawn storms can break out at any time but one thing's for sure this opening is not for the faint of heart. I started playing chess in 1973 and I remember my first Sicilian. I forgot to play a6 at a crucial point and my opponent dropped a Nb5 on my head and it was off to the showers. I was always a bit stubborn so I kept it up and here I am 26 years later and I'm considered somewhat of a Sicilian maniac. At one time or another I've played them all. I'm not kidding. I went through phases as one would do with anything. The Dragon phase usually happens when you're a youngster. The name sounds good and the attractive exchange sacs on c3 are even better. The Najdorf variation is another phase with its sharp play and good reputation. Most of the World Champions have played this defense at one time or another. Fischer, Petrosian, and presently Garry Kasparov have made it their own weapon. The Richter Rauzer I always thought was kind of a poor man's Najdorf! The play is complicated but not completely out of control. It gives black his money's worth and you don't have to study it for years. The Lasker Sveshnikov Pelikan is on the list as well. Black's seemingly anti-positional approach leads to some wild play. I won some of my all time favorites with this variation. I would rank these openings by respectability but I won't because I believe they are all playable and sound. Preference should be one's style and what you feel comfortable playing. It's easy to wake up one morning and say " I am a Najdorf player" it's quite another to feel that way over the board. I know this for a fact. I'm going to start with the Najdorf because of it's popularity in grandmaster chess. I have the greatest respect for this opening. 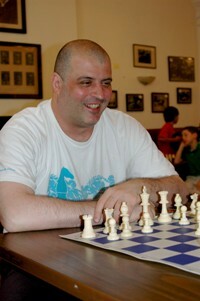 Players who face the Najdorf very often shy away from the challenge and wind up in inferior positions. At this time 6 Bg5 which was considered to be white's main reply looks to have fallen out of favor. It has been replaced by 6 Be3. Kasparov favors the reply 6...Ng4 7 Bg5 h6 8 Bh4 g5 which has brought him good results. 6...e5 and 6...e6 are also battle tested with Moldovian G.M. scoring well on the white side. Of course we'll keep an eye out for white's other tries. 6 g3,6 f4,6 Bc4 and 6 Be2 are all reasonable alternatives. The Richter Rauzer follows the same path as the Najdorf till move 5 then black plays 5...Nc6 6 Bg5, which is the starting position. The Richter is kind of like the Najdorf's little brother. For those of us not able or confident enough to deal with the Najdorf's compexities this is an opening that is rich in tactical possibilities but also retains a measure of solidness and sanity. I aim to bring you up to date on the ideas of this opening both old and new. The Scheviningen system has fallen out of favor in recent times. It has a solid look to it but I think people got tired of dealing with the Keres Attack beginning with 5...e6 6 g4! This appears to be the main threat to this variation. Against other 6th moves black's setup is very sound as his "small center" e6 and d6 offers good chances for counterplay. The Lasker Pelikan Sveshnikov is one of black's sharpest choices but white can sidestep the wild tactical lines with the positional choice by not doubling black's f pawns. The LPS is for players with nerves of steel and an attraction to piece play. I'll discuss all the various piece sacrifices and positional considerations of this interesting variation. The Taimanov and Paulsen Kan variations fall into the category of solid Sicilians. These positions are different from the variations above. The situations that arise are less open and the theory doesn't change as drastically as some of the above. My recommendation is for players who like to avoid craziness. I have resorted to the Taimanov against players with a wide open attacking style. The rest of the Open Sicilians will fall into this category. For those of you who play these variations don't worry, I won't give you short schrift. I have at one time or another played this stuff. Most of it's very reliable but has the advantage of being slightly off the beaten track.